Replacement: None at this time. Our supplier for the servo dropped off the face of the Earth and we are currently looking into a replacement. This page is for reference only. 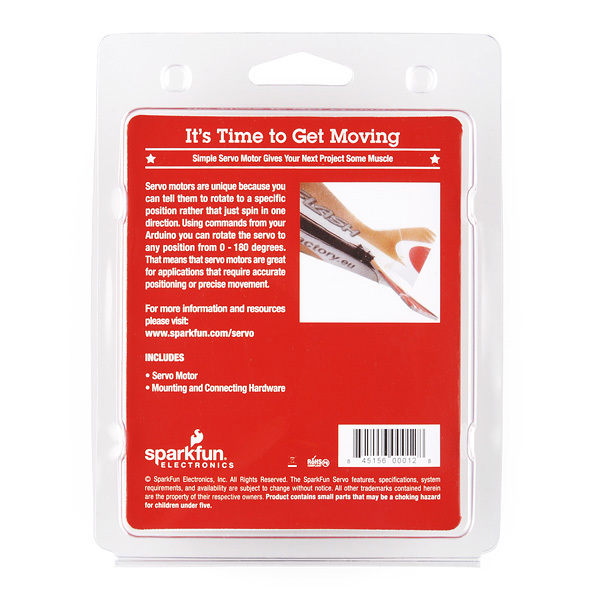 Here is a simple, low-cost way to get your project moving! 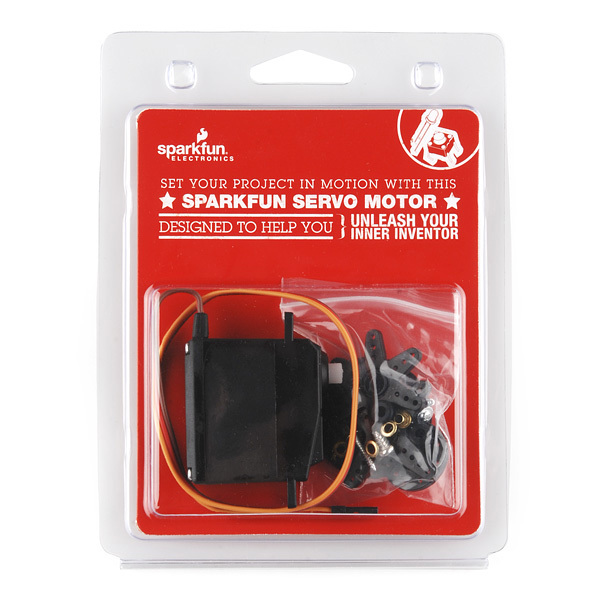 Servos are motors that do what you tell them to do, in other words you can define an angle in degrees and the servo will move to that position! 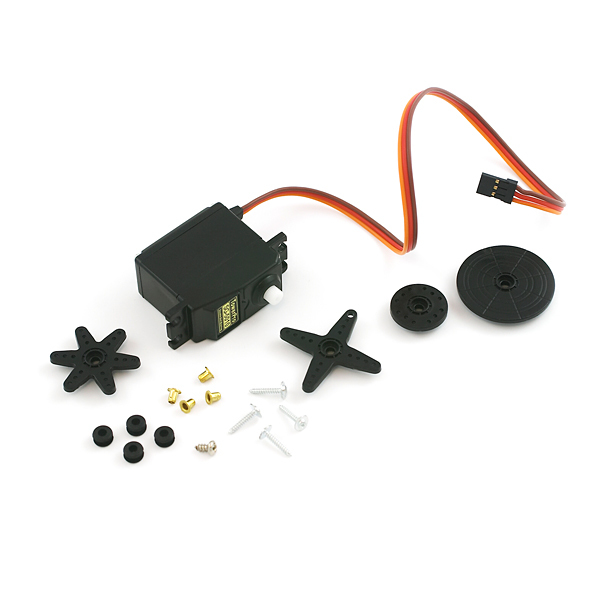 This large servo has a standard 3 pin power and control cable and includes hardware as shown. 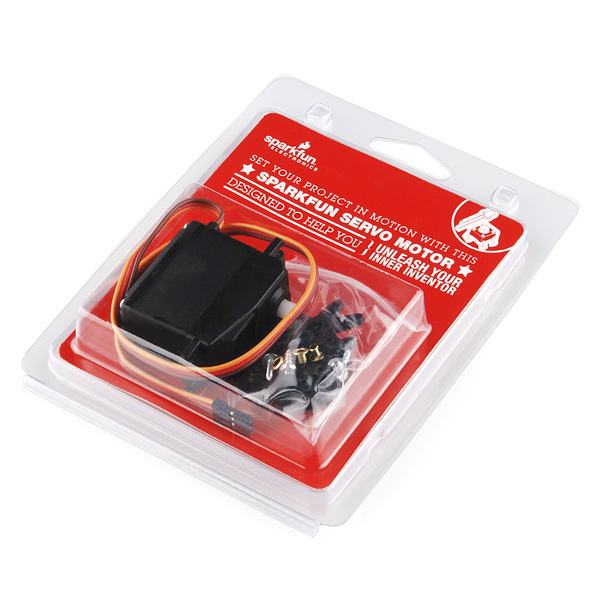 Is this a continuous rotation servo? It doesn't say anywhere in the description. -Thanks in advance.